I love weddings. Drinks all around. 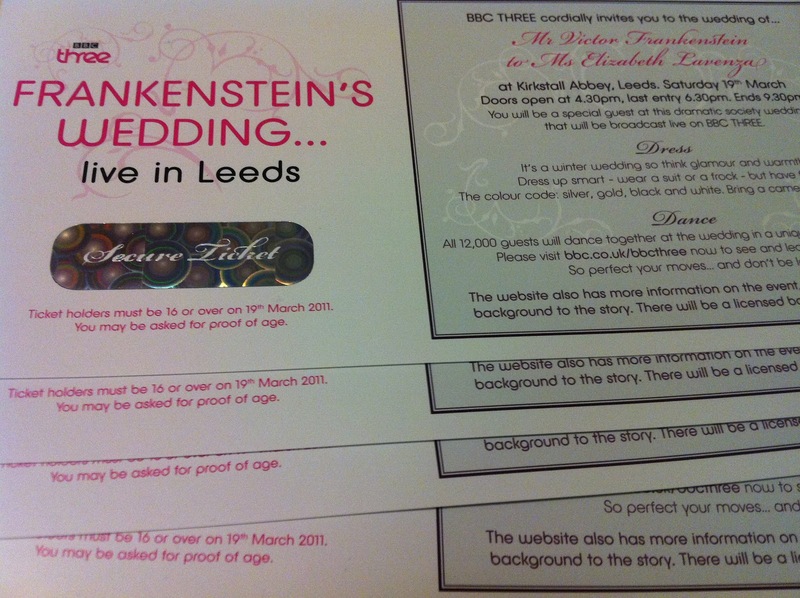 For one night only, Leeds' Kirkstall Abbey played host to a one-of-a-kind live TV event – the marriage of scientist Victor Frankenstein and his bride-to-be, Elizabeth Lavenza. We were cordially invited to the event, billed as a bold and ambitious project which aimed to explore Mary Shelley's gothic masterpiece through live drama and contemporary music.